Experience our nation’s first national monument, Devils Tower, some 60 miles east of Gillette and 110 northeast of Wright. President Theodore Roosevelt used the 1906 Antiquities Act to establish this wondrous monument that rises some 1,200 feet above the Belle Fourche River and the surrounding grasslands and Ponderosa pine forests. Plains Indians have revered this geologic wonder for thousands of years. Today many people are awed by the Tower’s enormity. 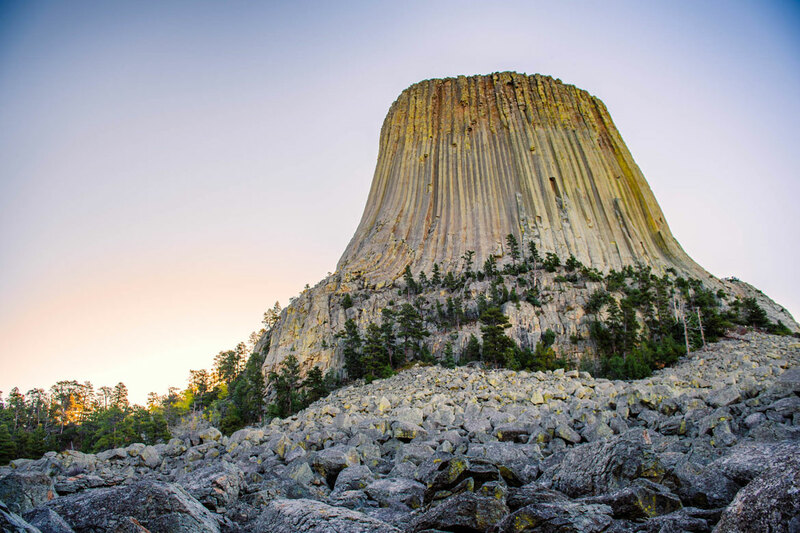 Geologists agree that Devils Tower was formed by the forcible entry of magma into or between other rock formations of igneous material, however there is still discussion as to whether the magma made it to the surface. The tower was formed and erosion caused it to be visible and rise above the open plains. For hundreds of years, climbers have tested their skills on the tower. Today most climbers free climb, inching their way to the top. 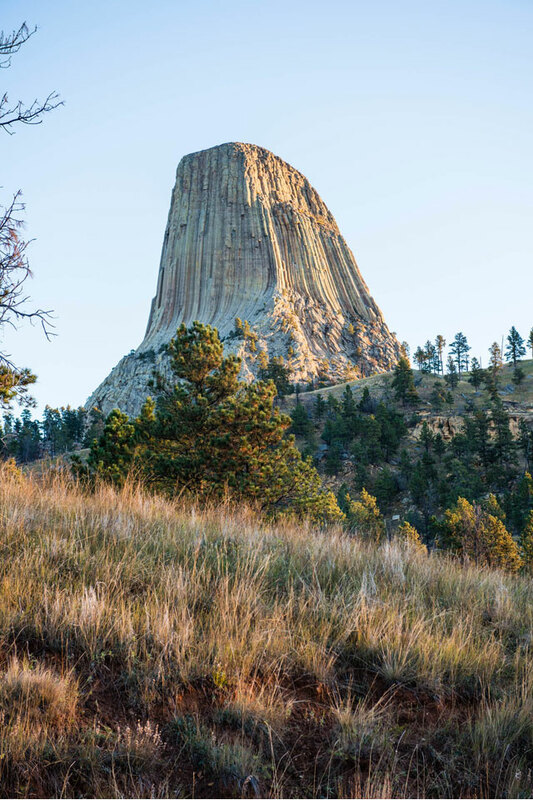 Since Devils Tower is a sacred site to American Indians, climbers are asked to voluntarily refrain from climbing it the month of June as the Tower and surrounding area are a place for spiritual renewal. Visit the tower and take a self-guided or ranger-guided tour. And visit the Devils Tower Visitor Center. Campground and picnic areas are available. Devils Tower is located approximately two hours from Mount Rushmore. For more information visit National Park Service.